Compromise agreement whiplash – how to avoid it! In this two minute HR Blast we will update you on how to mess up Compromise agreements… ignore this at your peril! Compromise agreements are the legal agreements that are used when you are seeking to part company with an employee without the possibility of any future legal comeback. They are widely used across the UK across all sectors, with some organisations going so far as to always put one in place when parting company with an employee. In exchange for their signature, staff are, of course, usually offered money and/or benefits. NOTE: Law due to change! Compromise Agreements to be renamed Settlement Agreements following the introduction of the Enterprise and Regularity Reform Bill later in the year. Want to make yourself look a bit of an idiot? We’ve assumed not, so here’s our guide…. Don’t set your manager up to fail by asking them to get a compromise agreement in place with a difficult employee without them having any legal knowledge or experience in this area. Don’t be tempted to include a shopping list of potential claims – you might think you are being clever and covering all options but the reality is that this can void the entire agreement, even if the legal advisor of the employee signs it. Don’t be lazy when overwriting a template agreement, resulting in wrong dates, wrong amounts, spelling errors or even the name of the previous employee you sacked (oops!). Don’t unwittingly undermine your hard won agreement by forgetting to include the ‘confidentiality’ clauses. Don’t hold a ‘without prejudice’ meeting with the employee, but then immediately present them with the drawn up compromise agreement. This just demonstrates to your employee that your whole discussion with them is a sham or at the very least, a foregone conclusion. This then creates an unhelpful negative tone to the whole negotiation. Don’t bully your employee into signing the agreement prior to meeting with their own solicitor and don’t bully your employee into verbally agreeing the terms on the assumption their solicitor will then just sign it all off. After starting the process, don’t get caught up in other work and let it slip off your priority list, even when the agreement is signed – you need to keep momentum with negotiations and even after they have gone there is still a leavers process to follow/payments to be made etc. 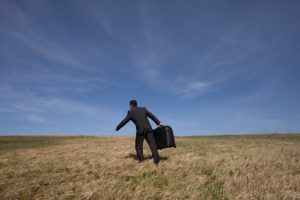 Don’t get carried away and end up promising payments free of tax when you’re not fully aware of the facts/HMRC rules. This happens so often, it is just not funny. Don’t mess up by failing to make the agreed payment within the specified timings of the agreement due to forgetting to communicate with payroll. Don’t forget to sign your version of the final agreement. Don’t lose or fail to file the final signed agreement – what a mess up to sort out if ever your employee comes back to sue you. But stepping away from how to mess it all up, here’s our guide to getting it right! If you are going to use a template, take the time to actually understand the paragraphs and clauses that are contained within it. Do they actually mean what you think they mean? Double check. If you are using a template that was drafted more than 12 months ago, take the time to check that the content is still current and applicable in law. If you are not an attention to detail sort of person, then enlist the support of someone who is to check the spelling, facts and numbers etc. Aim to tailor each document rather than bang out a variation on a theme of what was used last month. This will reduce the potential for mistakes. If you are using a document to protect your business against a £20,000, £70,000 or £150,000 claim, then give the appropriate amount of time to reading and writing the compromise agreement that it deserves. This is not a time for laziness or cutting corners. The stakes are too high. Don’t restrict yourself to including clauses that were included in the last compromise agreement you drew up. Consider if any additional clauses or paragraphs are needed in this situation to cover all eventualities. Equally some clauses may need to come out as they are not relevant in this situation. With the amount of money often offered, compromise agreements should be viewed as a serious negotiation. So take the time to prepare your thoughts and proposals and expect to formally negotiate the terms. Ensure that those involved are competent to negotiate. Consider how much money to offer. Is money even needed? Too often managers are tempted to just chuck money at the problem instead of engaging brain. Perhaps this employee would value other things more such as an agreed reference or a contribution to medical care. Remember to factor into your timescales for conclusion of this agreement, the time it will take for your employee to meet with their own solicitor. This is of course a requirement for your agreement to be legally binding so a corner that cannot, under any circumstances, be cut. For support with Tribunal claims, dismissals, compromise agreements or performance management, please do contact us for cost effective, commercial and pragmatic support.